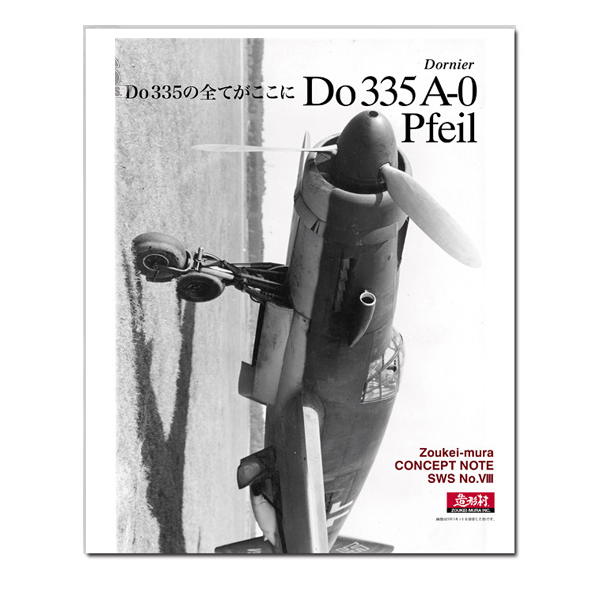 Take the exceptional 1/32 scale Zoukei-Mura Dornier Do 335 A-0 Pfeil Plastic Model Kit (#87209, available separately) to the stratosphere of model building excellence with custom-designed accessories! Painstakingly crafted and carefully selected, these optional components, paints and more further enhance various aspects of the model and allow the builder to capture an unmatched level of realism. Zoukei-Mura Do 335 Concept Note takes you through this amazing aircraft from the model builder's perspective. Through its informative 64 pages, the SWS Development Team of Zoukei-Mura will introduce you to the awesome work of the company's own master modeler Naoki Kobayashi, along with Andre Kliebisch of the Netherlands and Kerry Cox of Australia. Get an inside look at the build process of these exceptional builders while gaining valuable reference for your own creation.